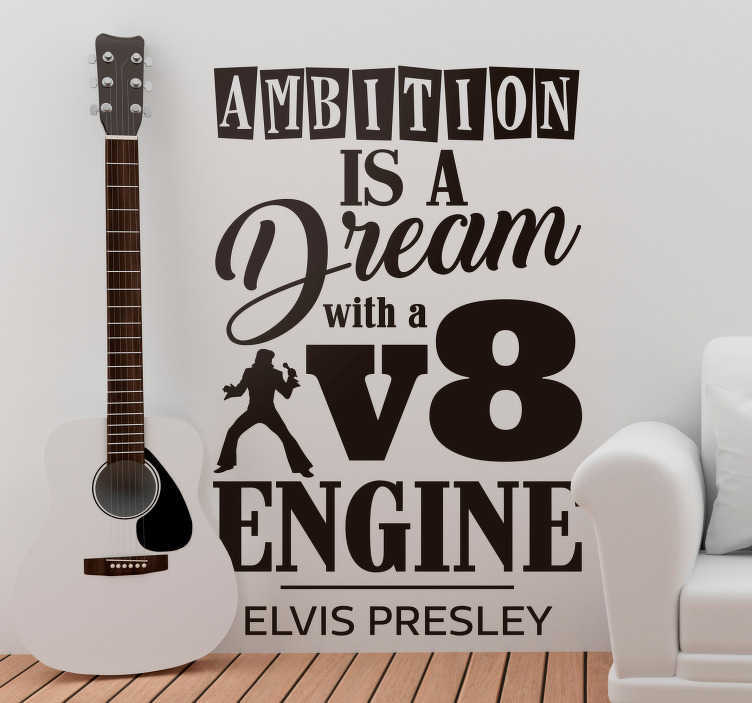 Ambition is a dream with a V8 engine! What a salient and true quote from the King of Rock and Roll himself, Elvis Presley! It really does make a fantastic wall text sticker if you wish to motivate yourself that little bit more when you wake up in the morning, or come home at night! Perfect room music decor for all those with a dream, or, even better, an ambition!